Luftrausers developer Vlambeer has apologised to those who have interpreted imagery in the game as suggesting the player is in the role of a Nazi pilot, but insisted that was not the indie’s intention. In a post on the Vlambeer blog, Rami Ismail acknowledged that it cannot rule out individual interpretations as “wrong”, but said Luftrausers is not about Nazi pilots. “We can leave our idea of what it is in there, and for us, the game is about superweapons. 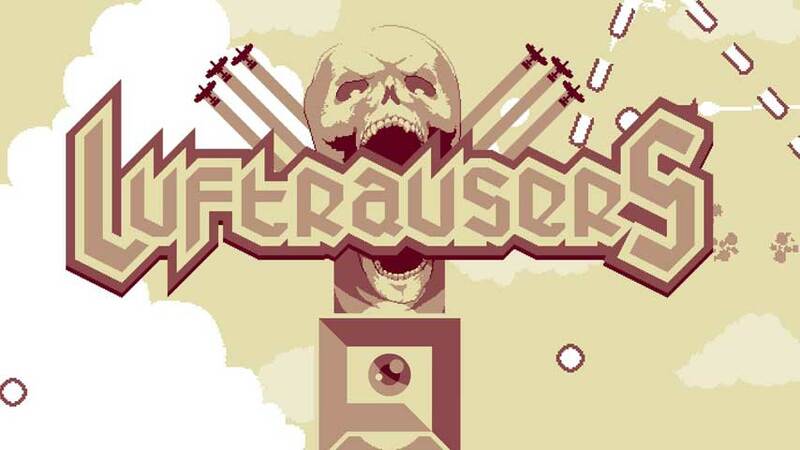 We think everybody who plays Luftrausers can feel that,” he wrote. Ismail said this problem first arose in World War I, and continued through World War II and the Cold War, until the modern era provided powerful espionage tools capable of eliminating such fears. Vlambeer was attracted by real historical accounts of possible enemy weapons that never actually existed, and wanted to place the player in one of those weapons. “For us, there was never a question that Luftrausers takes place during a fictional and/or alternative reality conflict between the ‘good guys’ and an undefined foe that we were spying on. It takes place somewhere between the Second World War and the Cold War, or in an alternative reality in the ten to fifteen years after the Second World War,” Ismail clarified. Ismail said Vlambeer wanted to be upfront about the time period it was aiming for, and admitted to taking “stylistic cues” from WWII – as well as WWI and the Cold War, as well as Thunderbirds. In conclusion, Ismail apologised to users for any hurt caused, without undermining their interpretation. “Each interpretation of a cultural artefact is a reflection of not only the creator, but also of what the user cares about, what they find important and what shaped them. We wouldn’t dare to fault people for finding the atrocities of the Second World War important,” he wrote. “It is important. We agree it’s important, and there are important lessons for us in what happened. We need to remember what happened, we need to commemorate the victims and we need to ensure nothing even remotely like it occurs ever again. Luftrausers is available for Linux, Mac and PC through Steam, as well as for PlayStation 3 and Vita.